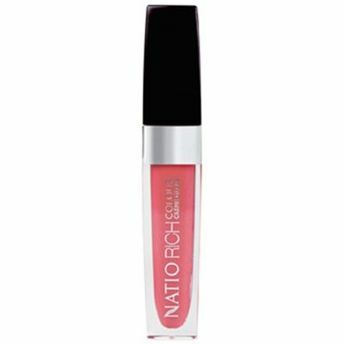 Natio Rich Colour Creme Gloss combines the creamy, pigmented colour of lipstick with the luminous gloss of lip gloss.Packed with natural emollients, it provides rich colour, intense hydration, and long-lasting shine. Combining the creamy colour experience of lipstick with the brilliance of lip gloss, it is a multi-tasking marvel. It is available in five shades. Explore the entire range of Lip Gloss available on Nykaa. Shop more Natio products here.You can browse through the complete world of Natio Lip Gloss .Alternatively, you can also find many more products from the Natio Rich Colour Creme Gloss range.